Dr. Michael Gray has been the senior pastor at CHBC since January 1998. He grew up in a preacher’s home, where he saw the dedication and faithfulness of parents who loved the Word and lived it daily. They gave him a love of history and instilled in their son a passion for the Word of God. During his senior year of high school, while on a mission trip to New York City, he surrendered his life to full-time ministry. After graduating from college, he ministered in Lakeland, FL as a teacher, youth pastor, and music director. 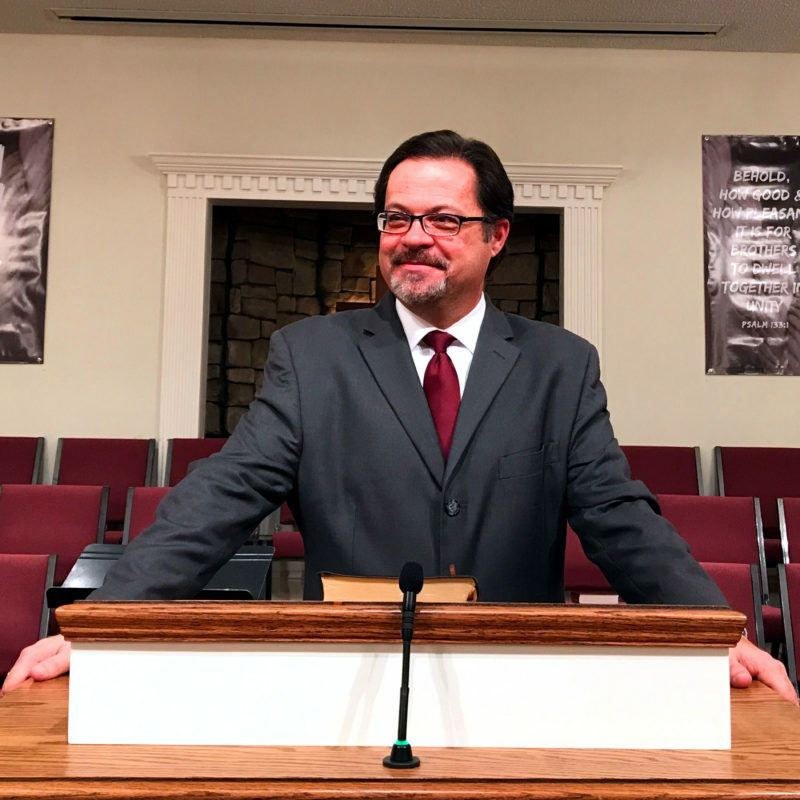 Michael then had the opportunity to serve as Associate Pastor with his father at Grace Baptist Church in Pelzer, SC for six years. Additionally, he went on to earn an M.A. degree in Church History, and an S.Min. (Specialist in Ministry) degree from Bob Jones University. In 2014, he completed his Doctorate of Ministry in residence at Grace Theological Seminary in Winona Lake, IN. He married his wife Kellie in 1985 and they have three grown children and three adorable granddaughters. His personal interests are wide-ranging and eclectic. Michael has collected nearly 2000 classical music recordings, enjoys reading theology and history, is an avid college football fan (especially Florida State Football –Go Noles! ), and is comfortable discussing golf, fishing and NASCAR.